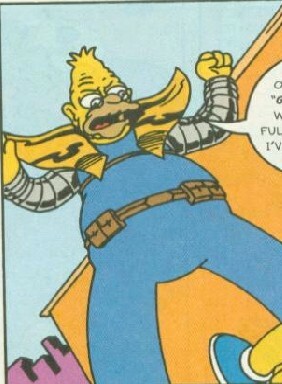 Coma was the superhero alias taken on by Abraham Simpson after a nuclear explosion. He was a member of Oldblood, along with Badpan, Codger, Phogey and Vague. Comic story – When Bongos Collide! Modified on January 31, 2013, at 14:34.